Sections A, B and E of this Chapter are based on “D3.1 Review of current EU Member States legislation and policies addressing food waste” from the EU project FUSIONS (Vittuari et al., 2015a) and was updated by the authors to cover also the years 2015 and 2016. In 2013, the Italian Ministry of Environment started working on a National Plan for Food Waste Prevention (Piano Nazionale di prevenzione dello spreco alimentare) in collaboration with Last Minute Market, one of the Italian major player in food waste management. For preparing this waste prevention programme the main stakeholders of the food chain were involved in this policy process. The result of the consultation process (which started in 2014 under the guidance of the Ministry of the Environment) should be a report aiming at assessing the knowledge basis on food waste at national level and the stakeholders’ expectations about the prevention measures to be included in the Plan. The Plan is intended to tackle the problem of food waste all along the supply chain from primary production (only agricultural production) to the final consumption. Food losses related to fish discards and livestock have been currently kept outside the scope of the Plan. In the framework of the National Plan to avoid food waste (PINPAS adopted with D.M. 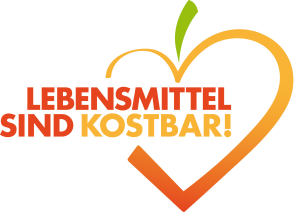 185 of 18/07/2014) and EXPO 2015 there is an initiative concerning the food waste prevention. The PINPAS foresees ten priorities at the national level. Description: The Ecotax law intends to promote more environmentally friendly waste management practices while, at the same time, discouraging the landfilling of waste. It is, thus, addressing food waste management issues. Legislative Decree 4 December 1997, n. 460/1997. Description: It explains the procedures of food donation. Art. 13 re-organizes the tax regulations for non-commercial, non-profit social utilities. National law about food and pharmaceutical products donation and distribution for social helps and to limit waste (Legge 19 agosto 2016, n. 166 ‘Disposizioni concernenti la donazione e la distribuzione di prodotti alimentari e farmaceutici a fini di solidarietà sociale e per la limitazione degli sprechi’) issued by the Italian Parliament on the 2 nd of August 2016. Description: This regulation is composed by 18 articles and is the national framework for the food waste. Before this national law there was the previous Law (called “Law of the Good Samaritan, Law n. 155/2003) which put the charities collecting the food (and not the food donors) in the situation to be responsible of the correct storage of the donated food and they were responsible of the expiration date. With this new Law donating food to charities and food banks will be more flexible and easier to do. The Law is not coercive and does not use penalties, but incentives. Operators from the food sector can donate for free food leftover to organisations and similar that are in charge of the collection of these goods. The collection of leftover agricultural products directly in the field is possible as well. Promote research and information activities for consumers and young generation. The Law also provides definitions for important terms such as: food operators (private and public along production, packaging, transformation and distribution); donators (public and private), food leftover; food waste (wasted food for commercial reasons/use); donations for free; expiration date; best before preferably. “Best before preferably” is referring to the time limit as a minimum limit for food products; food over this date can be donated (if the products are in good state and the packaging is incorrupt). “Best before” is referring to specific type of food very perishable and means an expiration date. Food/Products over this date cannot be donated. In addition, some older legal acts with implications on food waste exist in Italy. Those acts are still in force and address very specific aspects. Their content is partially also covered by the new National law about food and pharmaceutical products donation and distribution for social helps and to limit waste (Legge 19 agosto 2016, n. 166). Legislative Decree 109/1992 – Implementation of Directives n. 89/395/CEE e n. 89/396/CEE Description: This legislation, among other things, clarifies what is the difference between the expiration date, and the "best before" date. Decree of the President of the Italian Republic, 26th of October 1972, n. 633. Description: Art. 10, Section 12: “It regulates food donations made in favour of public entities or charities associations”. Law no.12 (approved on 23-6-2015): Promotion of actions for recycling and valorisation of goods not sold. Description: The regional Law completes the National framework. It has been written by the Democratic Party that is the majority party both at Regional both at National. With this law, the Regional Authority promotes and supports projects and recovery activities as well as the enhancement and distribution of unsold goods in order to develop the culture of a responsible consumption as a virtuous life model with economic, environmental and social benefits. The law has the following purposes: to support people at risk of falling into poverty; allow a reduction of waste going to landfills; reducing disposal costs; promote the creation of new jobs. It, thus, (potentially) has implications on food waste (re-)distribution, food waste management and food waste reduction. Unsold goods cover: agro-food products with short expiring date; agricultural products not collected and left in the field; not served meals from catering and public canteens; pharmaceutical and parapharmaceutical with a short expiring date. This law allows PAs, social cooperatives, NGOs, non-profit Organisations, to plan projects and specific actions with producers, retailers, professional and trade associations, which will economically supported by the Regional Authority. The “Zero Waste Charter” was launched in 2013 by Last Minute Market and the Municipality of Sasso Marconi (Bologna). With this Charter, the public administrations commited themselves to carry out various actions aimed at reducing and preventing food waste within their territory . to establish an observatory or national agency for the reduction of waste in order to minimize any losses and inefficiencies in the food industry by promoting the direct relationship between producers and consumers and by involving all relevant stakeholders with the aim of making more eco-efficient logistics, transportation, inventory management, and packaging. The “Zero Waste Charter”, thus, has implications on Food (re-)distribution, food waste reduction and food waste management along various sectors of the food supply chain. The so-called “Milan Prootocol” was issued in 2014 and promoted by the Barilla Group and the Barilla Center for Food & Nutrition. The Milan Protocol calls upon national governments, international organizations and civil society to sign a Protocol on Food, Nutrition, and Sustainability to address the sustainability of the global food system. The Protocol entreats signatories to participate in several voluntary commitments. The Milan Protocol, that could be signed during Expo 2015, aims specifically at reducing food waste by the signatory Countries of 50 per cent within 2020 and at sustaining sustainable agriculture (Vittuari et al., 2015a). This voluntary agreement potentially has implications on food (re-)distribution, food waste reduction and food waste management along all sections of the food supply chain.